I could be wrong – but for most business owners – we want to get found on Google. It’s a huge source of new business enquiries and where your customers will most likely find you. There are several ways to get your business found on Google. Obviously its important to point out to you that the search results vary between desktop and mobile, but one such way is to Get found on Google Maps. I’m sure that you knew that Google is the number one search engine. Approximately 70% of all internet or web searches take place on Google. And You-tube search is the number two – but if you didn’t already know it, Google owns Youtube too. Bing is in the third place – with about 5-6% of all searches – a very, very poor cousin! Once upon a time, probably about 10 years ago, it was possible to quickly put up a basic website, pepper it with your keywords and get listed on page one of google. You could stuff your keywords in as much as possible – so that even a blind man on a blind horse would fall over them… Those days are gone forever I’m afraid. Then again, there was that time that all you had to do was point thousands of cheap, useless, unrelated links at your site. The links the better. Didn’t matter how spammie the links were – your site normally just rose to the top. Not no more it wont. Using your keywords and phrases too many times in a page or a post is over known as optimising, and often gets your site penalised. and pointing un-related or spammy links toward your site – at worse will surely get your site a google penalty – at best, they’ll be ignored. Google’s vicious little pets; the Panda, the Penguin and the Hummingbird have all seen to that. These are the code names that Google has given to their big “bad” algorithm updates. (and these animals seemed quite friendly before!). Not only have these updates made life harder and more expensive for the business owner – they’ve made the process of search engine optimisation more scientific. So why get found on Google Maps? The search results are a little complex. Actually they are a lot more complex than they were just two years ago. And unrecognisable when compared to ten years ago. It’s important to consider how to get found on Google Maps because the maps results appear at the top of the page. Prime real estate as they say! Today we have a different search result on mobile search than that of desktop. Add to that – Google also understands if our search has local intent. This is based on how we phrase our search and the key words and terms that we use in the search. It recognises that some search terms are for local services – lets take how to get found on Google Maps in Newry – for example, Pizza, a plumber, emergency plumber, electrician, painter, etc… Google understands that if you are looking for an “emergency plumber”, and you are currently in Belfast – that you are not looking for a plumber based in Newry or Portadown. The probability is that if you are in a given place, and you search for an emergency plumber – you need one in a hurry – so google serves up the closest relevant results. For local services – you really need to think about how to get found on Google Maps. 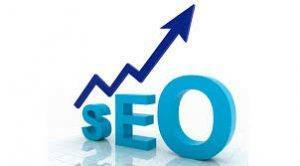 If not – you’re missing ot on a large number of clicks and there fore business. It also understands that if you are in, say Liverpool, and you search for a “plumber in Belfast” – you are looking for results in Belfast and it will serve the most relevant results. It is artificial intelligence at it’s best. It has a great understanding of search intent and local relevancy – where it is required. Yes, keywords are still important. And yes, inbound links are still important. But there are many more factors that play into the local relevancy. For example – local relevancy is attained with the help of maps listings, map embeds, keywords + location, image optimisation – including geo tagging and exif data, video optimisation and video embeds – among many other influences. So, How do you get found on Google Maps? Like everything else – what was once simple, is not more complicated. Gone are the days when a business owner could set up their own maps listing and hope to see results. For starters – two years ago – there were 7 google maps listings – then it went to five and now there are three. With fewer visible listings – comes greater competition for these places to get found on Google Maps in a given area. With greater competition comes the requirement for more and more tactics to be used to obtain a map listing. A combination of technical SEO is required both on-page and off-page to get ahead in the maps listing now. Layered maps and map embeds in keyword optimised, relevant pages, silo’d supporting pages and posts, along with silo’d locally relevant content…. 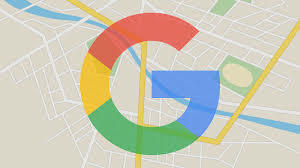 If you’d like to get found on Google Maps in your area – get in touch – if only for a chat – so at least you’ll know whats involved. That way, you’ll not get the wool pulled over your eyes.